Are you looking for a way to get fit that seems achievable? Why not change the way you walk and use it as a great way to increase your fitness - it works! Although we all walk every day, it is the way we walk that can have a more positive effect on our fitness and strength. 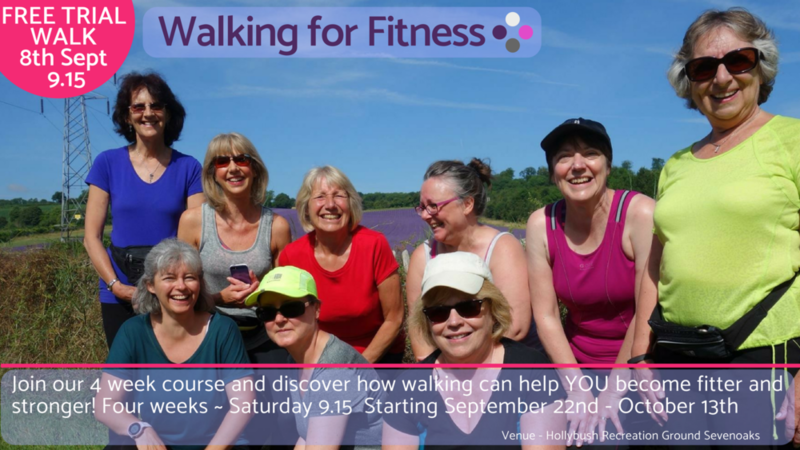 Fitness walking gets your heart working a bit harder, increasing your fitness over time, uses a greater amount of muscle strength which has a toning effect on the bottom and legs and increases the feelings of wellbeing - something we all enjoy. This taster class will give you a chance to try it for yourself, and if you enjoy it,maybe sign up for our 4 week course on a Saturday to really get you summer time fit! Join us (by completing the box below) on Saturday 8th September at 9.15 Hollybush Recreation ground.